get your free Ann's Quality Grooming & Boarding 2010 calendar. of You and Your Pet! Rockville dog and cat groomers, by their nature, should be caring pet lovers. The personal approach and experience that Ann’s Quality Grooming and Boarding brings to Rockville MD is unparalleled. Thanks to Ann’s affection for animals, her company is able to provide a comfortable, enjoyable cat grooming AND dog grooming services that your pets will love. At Ann's, we even offer pet teeth cleaning services, all under one roof! If your dog or car needs a rejuvinating clean-up, or a thorough wash after adventures in the mud, look no further. We keep our clients' and their pets' comfort in mind; that's why our staff is trained to provide that extra step above your expectations. 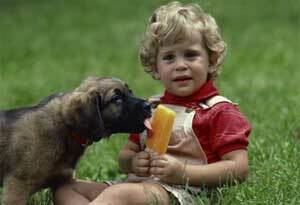 Our groomers provide a wide range of animal services. From basic fur washing to careful teeth cleaning, we won't hurt your friend even for a second – it's all pain free. From short-term pet sitting to long-term boarding, we can accommodate all your pet needs! Rockville dog grooming companies aren’t difficult to come by, but Ann’s Quality Grooming And Boarding is a unique, Rockville MD based, all-inclusive pet service shop. 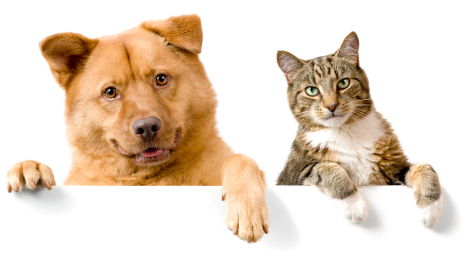 We offer kennels and boarders, pain-free fur and teeth cleaning, and washes or baths for your lovable cats and dogs. You want to get them clean, and Ann's is here for you. Our staff will give your dog or cat a delightful bath or a wash that they’ll love! But did you know that as a proud Rockville dog / cat grooming company, we do more than just staff professional groomers. That means we’ll not only do the cleaning work, but we’re also available for dog sitting when you have to go away for vacation. Ann's wants to develop a long lasting relationship with you and your pet, so what are you waiting for? Call us now: 301-881-5088. Are you ready to have the best for your pet? At Ann's Quality Grooming & Boarding, we specialize in offering a personalized and caring service to your pet(s). Our company has nearly two decades of experience bringing the Rockville, Kensington, Bethesda, and Gaithersburg areas excellence in grooming, boarding, and teeth cleaning services. You can count on us to exceed your expectations. Our Maryland-certified professional groomer ensures that your dog or cat receives services of the highest caliber. Whether or not your dog is a show dog or a dog you want to show off to your neighbors and friends, we know what it takes to make your dog beautiful. We would love to show you why we're the best, and invite you to come to our shop in Rockville, MD today. Need directions? Click here. Does your dog have too much fur or hair? It's summer time, so go for short. Come in today at Ann's Quality Grooming & Boarding and get a new "do" for your pet. It's summer vacation time! Boarding facilities are available for your pet. Just let us know your dates of travel, and we can take care of your pet. Book early!